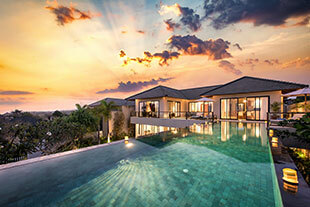 Karang Saujana Estate is a cliff-edge, ocean-front property comprising just 6 custom-designed private residences. 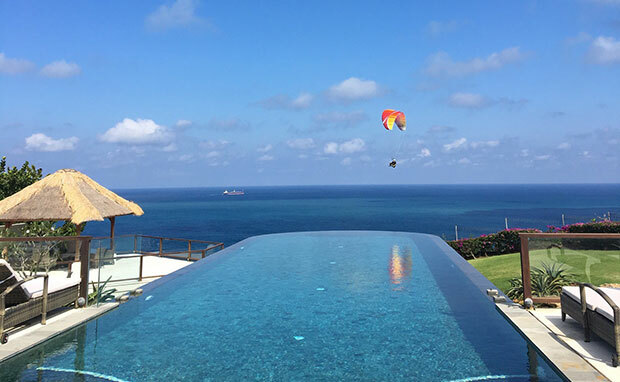 Located in the serene Bukit Uluwatu within the Pandawa Regency, the area is famous for its immaculate white beaches and crystal clear blue waters. 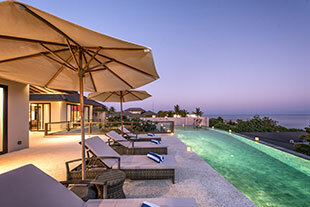 Offering jaw-dropping views from its intimate perch, this cluster of stunning private villas come with picturesque settings and unobstructed ocean views from every villa. A highly desirable and serene new development, the Karang Saujana will amaze and enchant any home lover. From beautiful Balinese-inspired entryways leading to gloriously bright and sunny, contemporary and spacious interiors to fabulous dining and entertainment areas, the Karang Saujana Estate is the ideal home for those who seek and appreciate the very essence of an elevated and exotic island glamour and style. 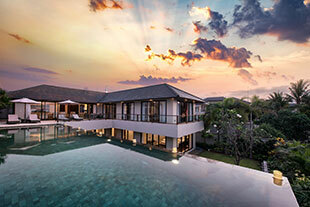 Located in the Karang Tinggi area of the ‘millionaire’s mile’ on Bali’s south coast lined with multi-million dollar private villas and ultra luxurious resorts such as Bulgari & Banyan Tree, Karang Saujana is undoubtedly the most exclusive address in the most sought-after location in Bali. Each villa comes with its own sparkling infinity pool attached to an outdoor living space with spectacular views of the ocean and a dramatic backdrop of Bali’s legendary skyline and sea. 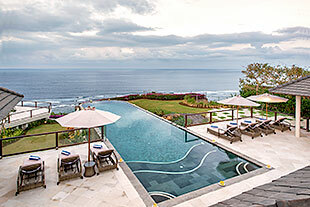 Whoever goes to Uluwatu I highly recommend you to stay here! Everyone is so amazing. The staff makes everything better! Hope to visit Villa Saujana very very soon! 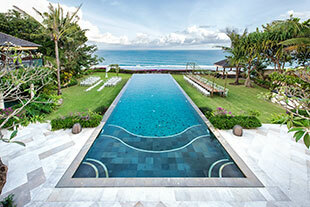 Wow on everything - the Villa, staff and the breathtaking view on Bali. We spent 5 wonderful time with 2 families. 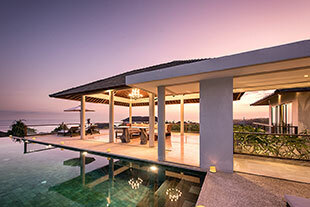 Villa exceeded our expectations, the staff took care of all our needs. Spacious rooms, delicious food and a sensational pool. The house was excellent, perched on a cliff with a brilliant view, the food was delicious and the staff were really friendly and would tend to your every need. I would recommend this to anyone.